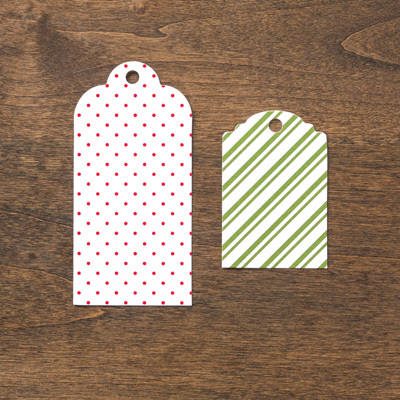 I see these cute little tags are on clearance right now for 99 cents! 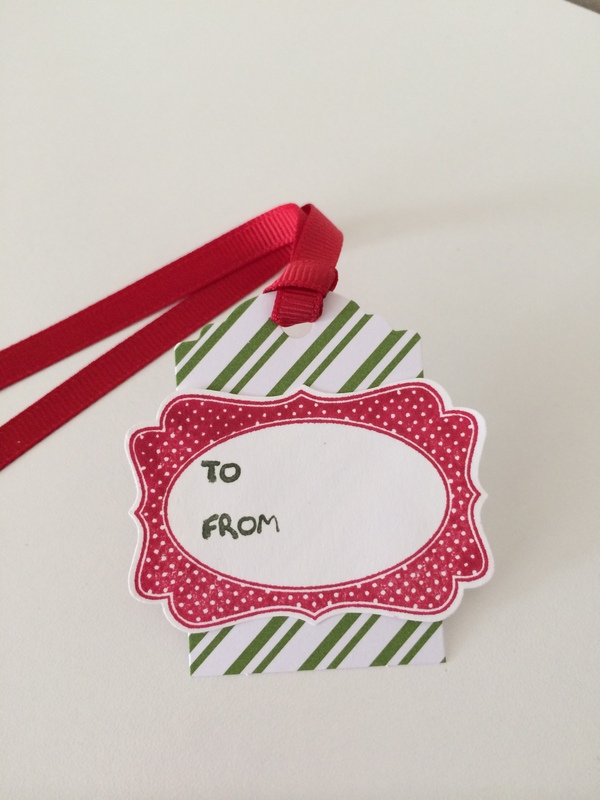 That makes it a good time to post some Christmas tags, right? 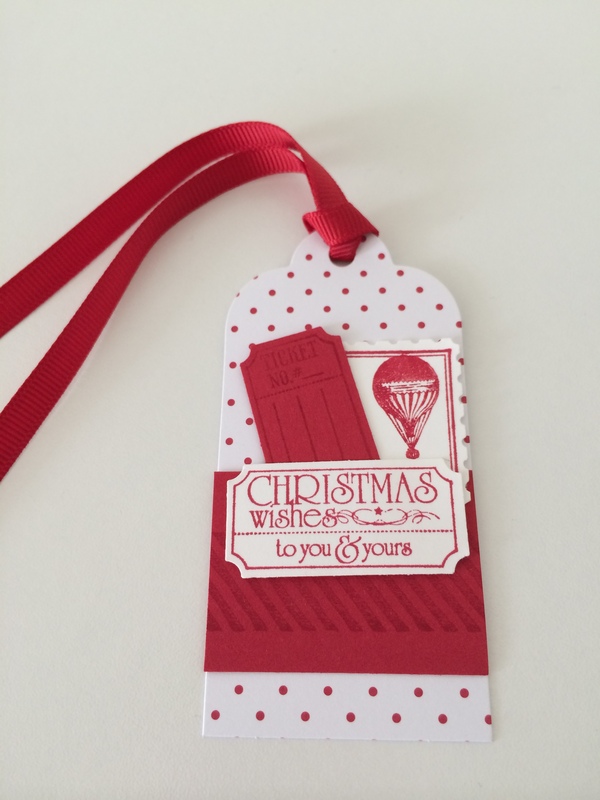 The red and green one is made with the Four Frames Stamp Set and Decorative Label Punch. The red and white one is made with That’s the Ticket Set, Ticket Duo Punch, Gorgeous Grunge, and Postage Collection (retired). 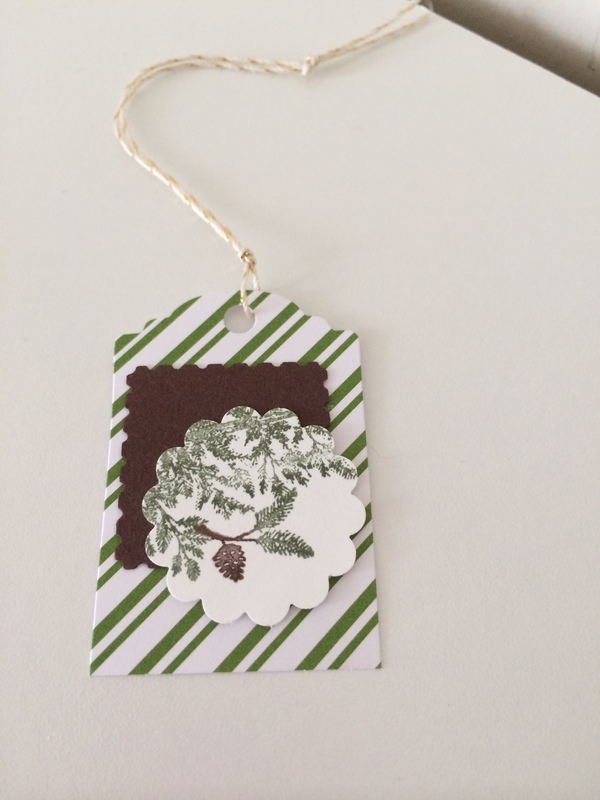 The green and brown one is made with Lovely as a Tree (using a marker and turning the big tree sideways).